What Does Money Looper Offer? Money Looper is a make-money-online program created by a man named Michael Dee. You can access it at CopyHisSuccess.com/MoneyLooper, and the cost is $37. Michael Dee states in the sales video that the Money Looper is a really simple and ingenious system that it’s nearly impossible not to make money with. In fact, he’s guaranteeing that you will earn $70 at the end of the video! But it took several hours to find these loopholes and he needed more people to do it in order to really stop the evil millionaires. So he paid software developers to create a software that would find all these loopholes much faster and enable more people to take money away from the big, bad guys. The Money Looper system was invented! This sales pitch is one of the worst I’ve seen, and it plays off of the idea that the reason people don’t have a lot of money is because all the rich people out there are stealing theirs and keeping it all to themselves. One thing that you don’t hear about in the sales video is anything about what Money Looper actually is! You’re given this huge story and then shown pictures of Clickbank accounts with hundreds of dollars in daily sales. Then you’re supposed to feel lucky because he’s trusting you with his precious software! In fact, he’s trusting you so much that if you buy the system, he’ll give you his personal cell phone number and a free gift! Here’s where you’re going to earn the $70 that he promised earlier. Earlier in the video, Michael Dee stated that even if you had any doubts about the system, he would give you $70 at the end of it. Well, he really wants to sell his system for $97, but he’s going to use your $70 as a discount so that it only costs you $27! Yet, in order to get the Money Looper system you have to pay a one-time-only pitch in, as he calls it, of $37, not $27. In order to show you what Money Looper consists of and to give you a full review, I purchased it for the $37. For those of you who have read many of my reviews, you won’t be surprised by what I found. But for the beginners that this sales video is targeting, you need to see what Money Looper offers! The 7 Secrets of Affiliate Marketing–Way too short and general to be of any use to a beginner. Affiliate Directories–Signups for Clickbank and a PLR site. PLR stands for Private Label Rights, which means you can download their content and use it as your own. Not a good way to get ranked in the search engines. In all fairness, the 3 that wouldn’t download could’ve been because of something on my end, but after seeing the rest of the program I determined I wasn’t missing anything without them. Then there is a series of videos that show some of the Money Loops that you can use to make money. Let me tell you, my expectations were already low for this system, but they were way too high for what I actually got for my money! #1 Money Loophole is using Shopify Free Slogan Maker and Picky Domains to make money by creating domain names. You register for Picky Domains and get 25 cents for every domain that gets liked by one of their clients. You get somewhere around $20 – $75 if a customer picks one you created. You create the domain names based upon the orders that are place with Picky Domains, and you get paid according to the price of the order and what your rank is. You start at the lowest rank and 40% of the price. So if a client picks your name with a $50 order, you would get $20. If none of your names get picked, you get a quarter for every one of them that was liked by a client. So where is the loophole that is stopping some greedy millionaire? Also, there’s no way anyone is making hundreds of dollars a day with this method of making money. #2 Money Loophole is signing up with Survey Junkie, getting paid for taking surveys with gift cards, and then selling them on CardPool for cash. First off, while Survey Junkie is a legitimate survey-taking website, it’s very difficult to make more than just a few dollars taking surveys. See my blog post Can You Make Money Taking Surveys Online? A lot of people sign up for a number of survey sites because many times you’re lucky to even qualify for a survey a day! At an average of $1 to $3 a survey, it can take you days or weeks before you ever make enough to get a payout. When you do, having to take less to get cash at a site like CardPool isn’t what you’re going to want to do. #3 Money Loophole is making money with a Nielsen app to have them track your internet usage. You sign up and register your device and get $50 a year. I’m not going to discount anyone making $50 a year, but the Money Looper sales video promised it’s system would be making us hundreds of dollars a day. They recommend you sign each of your devices up under a separate account so you can get $50 for each of them. But even after doing this, the money is pretty insignificant. There are also reviews where people have complained that the Nielsen app slows down their internet service. The next section of the Money Looper system is called The Emergency Cash Generator. In there you’ll find 6 videos that contain ways to make money online. The 2 Emergency Cash Generator videos are about signing up for Cash Crate. Video 1 walks you through signing up and going through one of the offers that you can use to make money. Most are surveys and cash back from purchases, not much money making there! I find it interesting that the narrator tells you to use an old email and phone number because of the spam you’ll get hit with if you use your personal ones. Not a good sign for how legitimate many of the sites are that you’re giving personal information to. The second video talks about the Cash Crate referral system. Basically, if you refer new people to Cash Crate, you can get a commission. While you actually make more money that way, you have to have a website or some way to drive referrals to them. The third video is about making money with Craigslist. You post an ad on Craigslist that promotes a program and make money when people click on your affiliate link and sign up. However, there’s a very big problem with this method. You can’t post affiliate links, or any links, on Craigslist anymore. So Money Looper has a secret way of getting around this. You post a fake ad offering to sell a product that is listed on a subscription site. Then when someone clicks on your ad, it says that the product is for sale on a subscription site. If they subscribe to the site, you get paid a commission. It’s completely unethical to market this way! To post the ad on Craigslist, you have to post is as an owner of the product or a dealer. The video gives the example of a government site for unclaimed or seized vehicles. You post an ad selling one of the great deals from this site as an owner. Then potential buyers have to subscribe to this site to view or purchase the vehicle. While you don’t have affiliate links in your ad, it’s completely wrong to misrepresent yourself as the owner of something in order to lure people to a site to earn a commission! ~ Article Marketing–You are supposed to write 500 word articles based on keywords that you sprinkle through the content, then submit them to article directories. Several years ago you could make decent money doing this, but now this is outdated. You won’t rank for these articles, so you won’t get any traffic to your links–which means no money! ~ Forum Marketing–You’re supposed to find forums that accept links and that relate to your product and post to each one of them 20 or more times without any links. Then you can start posting to them with your affiliate links. Posting affiliate links in forums is considered spam and will get you kicked out of most of them. ~ Video Marketing–You can make videos and put them out on video platforms. They talk about Traffic Geyser and Tube Mogul, which are both paid platforms, but barely anything about YouTube. Another example of how outdated the info is. ~ Blog Marketing–They discuss how to build backlinks and post to blog directories, then advise you to get a lot of information from Google searches because it’s pretty time consuming. No credible information here at all, in my opinion. ~ Blog Commenting–This method is considered spam since you’re supposed to comment 50 to 100 times on blogs related to your product and put in your affiliate link. They tell you to use CommentKahuna.com to do this much more easily, but this website is not even valid anymore. The fifth video is about email list building. This video didn’t give any useful information that a beginner could use to start generating an email list and make money, so it wasn’t useful at all, in my opinion. The sixth video is about earning money on Clickbank. If someone wants to learn how to make money with Clickbank products, I recommend signing up for Clickbank University. You don’t need Money Looper to sign up, and you won’t get the information you need from the Money Looper system. The last section of the Money Looper system is Facebook Article Sharing. There are 5 articles listed that you can share on your Facebook page that contain Clickbank affiliate links. If anyone clicks on those links and purchases the product being offered, you will make a 70% commission. One problem with this method is that you would have to have a huge Facebook following in order to generate any sales from these ads. Most people don’t have that unless they already have a successful online business. A second problem is that you have no control over what products are being promoted with the affiliate links in these articles. While many of the Clickbank products are very good, there are some that are not–especially in the MMO, make money online, niche. I would hate to find out I was promoting a low quality or scam program to my family or friends through one of these articles! This is definitely not what you want to read when you’ve just bought a product. The upsell was confusing, and all I really got out of the video was that for $197, Michael Dee and his team would make $1000 a day for me. There was more of the same marketing as in the first video and more income shots that showed thousands of dollars a day in sales instead of hundreds. But still nothing about what I would actually be buying–I passed on the upsell. ~ Scammy Marketing–The whole sales pitch about being a Robin Hood and finding loopholes in the systems of the evil, greedy gurus to take money from them and stop them was pretty ridiculous, in my opinion. There is absolutely nothing about this program that has anything to do with any guru’s system or making money off them. ~ Unrealistic Income Claims–The “money loops” that are listed are basic ways of making money online. The lucrative ones, like affiliate marketing, take a lot of time, effort, and information than is given. The other ones make very little money, like taking surveys online. No one is going to be making hundreds, or thousands, of dollars a day from Money Looper. ~ Outdated Information–A lot of the information is outdated, and some could get you penalized by the search engines–like keyword stuffing. ~ Spam and Unethical Methods–Some of the methods taught in Money Looper are considered spam, such as commenting on blogs with affiliate links. Some is just plain dishonest, like posting an ad on Craigslist as the owner of a product when you’re not. ~ Low Quality Materials–The rest of the materials in Money Looper are low quality and too general for any beginner to actually take action and make significant money. Here at Build Your Early Retirement, we give Money Looper our lowest rating of 1 out of 5. When we compared what was advertised with what was offered, it’s our opinion that this program can definitely called a scam–which is something we don’t take lightly. While there is information there that can make a small amount of money, there is nothing that isn’t available online for free. There is too much outdated information that will work against your success, and we can’t endorse any program that promotes unethical behavior or spam. 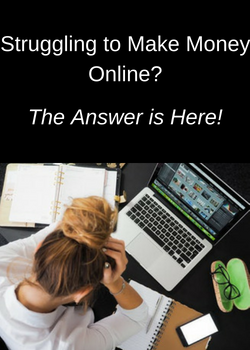 If you’re looking to make real, significant money online, you need a legitimate program that will help you become a success. It won’t be a get-rich-quick scheme, it’ll provide the best techniques that work today, and you’ll get everything you need to truly make money. I recommend the platform where I host all my websites and learned everything I know about an online business. 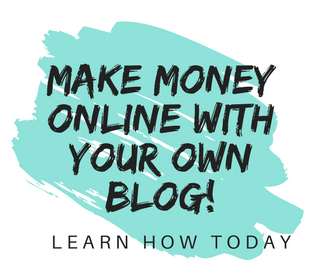 You can create up to 2 websites, get training, and have access to a whole community of online marketers–with no credit card required! Do you have any experience with Money Looper or making money online? If so, we’d love to have you share your experiences or questions in the comments below! The first time I had contact with a scam was about 15 years ago, and of course, I fell into it, not once but several times, which of course cost me a good amount of money.Fortunately, I found the honest and real means to build a solid business through my website finally.What continues to surprise me is that these fraudulent schemes continue to be designed almost precisely in the same way as they were years ago and the most incredible thing is that they continue to work because people in need continue to trust in good faith the offers of these crooks. That’s the worst part about all these get-rich-quick schemes, they target those who are naive or desperate to change their life by making money online. I was also one of them and understand why people believe the hype and take a chance hoping this one will be legitimate. Funny thing is, the only programs that I have found to be legitimate are the ones who don’t promise you riches and are honest about the hard work it takes to succeed! My recommendation is that you should run, not walk, away from Money Loopers. You won’t make the money that they are claiming, and I see no value in it at all. It’s always good to hear about other scams out there. Or to learn how other people plot and scheme ways to rip others off. The reason I say this is so others can keep a watchful eye and learn from it to protect themselves. There were a lot of loopholes, however, I’m sure that he sugarcoated it enough to convince a lot of people to join. You were very thorough in your description and explained the situation very well! Thank you! I try to be as thorough as possible so anyone considering buying this program has everything they need to make an informed decision. I have read the whole review about the Moneylooper program and I have understood that this program is not beginner friendly and it has so many up sells also. Though this is not 100% scam it has very low ratings and many drawbacks so I will stay out from this site. I would rather love your # one recommended program of joining in the Wealthy Affiliate program. Thanks for writing this informative review. You’re welcome, and I’d love to hear about your experience with Wealthy Affiliate’s starter program! Thanks for helping dodge this bullet, I almost gave in when a colleague introduced it to me. I told him to give me little time. I’ve spent so much inmy quest to making money online in my comfort. It’s sad I always ended up a.victim of stuffs like this. Earning millions online now looks like a mirage to me. I was in the same boat several years ago, and I lost so much trying to find a way to make money online and be home with my family. The good thing is that all of that money can be chalked up to education because when a truly legitimate program came to my attention, I definitely knew it was the real deal! If you’re looking to make consistent, long-term income online and are willing to put in the time and effort it takes to do it, I recommend you taking a look at my top rated program. Their starter program is free with no credit card required at all! If you’re interested, you can check out my full review at Is Wealthy Affiliate Real Or A Scam? My Review. Thank you for stopping by and taking the time to read my review! Your instincts are definitely right about staying away from any program that promises huge earnings or making money with very little effort. It’s very easy to get scammed because the creators of these programs are very good at knowing just what to say to reel you in! You’re very smart to read reviews before buying one of them. That is definitely the biggest thing they all have in common–promising fast, easy money online. Thank you for taking the time to read my review! The looper, haha! Sounds great, just go and find a guru and the find the loop. take one cent from every dollar that the guru makes and you’ll be rich I tell you rich!! Hold on let’s upgrade and we can take one cent from every loop dollar that the bank transacts and we will be richer I tell you richer!!! Oh I may have to add the caveat that you will probably be rich from behind bars. It’s great to read this and it makes me laugh to think people fork out money for this junk and before I got onto something that worked and was desperate may of forked out money too!! May the loop be with you hahah!! May the loop be with you–I like that, lol! Oh not again!! Another scammy site which promises you the earth and will do nothing but virtually steal your hard-earned cash!! There are all too many of these scam sites which prey on the unwary and unaware people who are desperate to make extra money. You are doing a great job in bringing this scam to our attention so that we all know to avoid it. Indeed, I would absolutely run away from any such site, and it is so good of you to spend your own money so that you are able to warn us. Thank you, I’m definitely doing my best to be sure and give accurate reviews so people know what they’re getting themselves into. I also make good use of the Clickbank 60 day money back guarantee policy! This sounds like a truly awful product. I also had a few giggles to myself reading your review because the product and it’s marketing really do sound so ridiculous. It also sounds like a weird grab at unrelated things, like CashCrate (which anyone can sign up to for free and get commissions from) and the other survey sites.Anyone who has been in the make money online game for any length of time at all knows that this type of money making method just does not work in the long term due to the sheer volumes required. It is a pocket money making exercise at best. The pdf’s sound old and outdated and then the upsell at then end – no thank you! Thanks for your review Janelle. Keep them coming so that people can avoid these scam products and focus on the genuine platforms that do exist. You’re welcome, and I’ll definitely keep reviewing! I want to be sure that anyone who is thinking of making money online has accurate information to make a good buying decision about a product. I appreciate you taking the time to read my review! Thank you Janelle, for this review on money looper. I have never heard of them but I am happy to read your honest review of them. I fell into the hands of some online scam about 8 years ago. They promised I would recover the month I invested in them within months. I have not recovered a penny. And money looper is just another one like that. I’m so sorry to hear that you lost money with an online scam, and I can understand how you feel since I did the same thing. The good thing is that I was able to recognize a legitimate program when it came along, and I’ve had wonderful success with their platform. If you’d like to see what they have to offer, you can read my full review at Is Wealthy Affiliate Real Or A Scam? My Review. Thank you for stopping by and taking the time to read my review! Thank you so much for sharing this article. In this day and age there are so many different ways to make money and unfortunately it’s sometimes hard to tell if it’s real or not. I always think about the phrase, “If it sounds too good to be true, it probably is”. What is the program that you are using that you mentioned at the end of your article? Slow and sure will win the race! Thanks again for the information….one program to stay away from. The program that’s my #1 recommendation is Wealthy Affiliate, and I love it! They’re totally legitimate and have everything you need to make money online. You’ll never hear them say you can make fast, easy money, and they show you how to build your business in order to make consistent, long-term income with effort and commitment. You can read my full review and see what they have to offer, Is Wealthy Affiliate Real Or A Scam? My Review. Thank you so much for stopping by! I came this Money Looper scam before too. I mean, I suppose it’s not “technically” a scam since you do get some things for your money. But everything is so old, outdated and some of the stuff that they suggest you do is so unethical as you pointed out. How is this system still out there and making money? I’ve heard of Rich Janitor, but haven’t reviewed it yet, so I’ll put it on my list! So many of these programs are put out by the same people. They hide behind fake names and just sell a different version of the same type of program under a new name. It’s sad knowing that desperate and naive people will believe the sales hype and think they can make thousands of dollars a day, when they’re really going to lose money. You’re welcome! It’s always good to trust your instincts, and you’re right that there will never be a shortcut to success! I read your review. I feel that how some people utilize all their energy to prove themselves SMART! Instead of caring for people or having an honest intent to help others, they are engaged in finding all possible ways to make money. I’m glad that you have highlighted this review, with this you have already helped many who are about to fall in the trap of this scam. I never heard about it before, but finally, I’ve read its detailed expose, a great future precaution for me. Thanks a lot for your time sharing this review. Keep doing the great work. So glad you found it helpful and will know much more about it if you ever run into it in the future! Even by as the name as money looper I wasn’t moved or interested when I recently saw it on one platform I am. I thought ó will later make my search on it. I appreciated your explicit review on this scammers. No doubt this is a scam in disguise claiming to make millions in a short time. My intuition was right and you as well confirm it. Have lost a lot of money online in the past to scammers. I know I will rise and be great again, life goes on. Thanks for exposing money looper. You are welcome, and I’m glad you have a good intuition about these programs now. I feel for you losing money to scammers in the past, and you are not alone. I have fallen for them too several years ago, but now that experience has given me the knowledge to know what a legitimate program looks like. Good luck, and I have every faith that your experience will help you rise up and be a great online entrepreneur! Well written interesting article on just what a waste of money Money Looper is. I had never heard of the product till now and am glad I hadnt. It mentions stuff like clickbank and the survey sites,things that you can sign up to for free,so this is telling me Money Looper is preying off of naive newbies. Just makes me mad! So many legitimate products out there. This is not one of them thank you for letting the public see what is really inside Money Looper. You’re welcome, and I think you’re exactly right when you say they are preying on naive newbies. The people who create and sell programs like this target those who don’t have enough experience to realize how little value the system actually offers. It’s very easy for them to get sucked in and waste a lot of time and money trying to make it work like the sales video promises. I hadn’t heard of this program but I’m glad I stumbled across your post before I fell into theirs blindly. Thank you for the information. I’ll be much more careful with these sorts of ads now that I know exactly what to look for. In particular, I find it disheartening that they can get away with offering subpar, outdated information. Thank you for letting us know. You’re welcome! I hope that by reading my reviews people will learn how to spot and avoid scams and identify legitimate programs. I feel disheartened as well that it’s so easy for people to put out very poor or scam type information and get away with it. If enough people read reviews, hopefully it will be much harder to the creators and promoters of these programs to make money with them! Yet another scammy make money online product. These people don’t ever stop. Once their antics have been found out on one product or service,they move to another one. They are so desperate that they don’t care to do a good enough research to ensure that they aren’t found out so easily. But then again, maybe it’s a good thing because how would we have known about the Money looper scam if people like you haven’t dedicated your time to fishing out these make money online scams and legit businesses for your dear readers. We do owe you a lot of appreciation for making it easier for us to be able to avoid falling for such scams. Thank you! I know what it’s like to fall for programs like this and lose a lot of money. So I want to be sure that I’m giving my readers as much info as possible to make a good buying decision. I like how you are straight to the point on wether or not this is a scam. You gave it a one star and I like it how you are genuinely informing people on how this scam is a scam and how it works. I will avoid programs like these in the future. A looper is a complete idiot, lol–then this program is definitely a looper! Many scam website are springing up the internet everyday one have to be very careful and conversant to avoid falling a victim. I don’t really know much about affiliate marketing. Thanks for revealing the secret behind being a successful affiliate marketing. I would love to revisit for more articles like this. I’ve reviewed many programs on my site, and try to do at least 1 or 2 every week. So stop back any time for our coverage of the latest programs coming out! Oh my gosh I was laughing half way through this review. Not with joy! The out dated methods advised in this package are scandalous. I do appreciate you trouble shooting this system for us. The volume of training offered looks like a lot of work, to go through, then realize you still have not been trained to do anything useful on line. I am glad I discovered Wealthy Affiliate so that I stopped wasting my time with “trainings” such as this one. I agree that many of the things that you see in these sales videos would actually be very funny if it weren’t for the fact that people actually believe them and lose a lot of money! Good to hear that you have found Wealthy Affiliate and are learning from a legitimate program. I don’t know if you were being funny on purpose, but I laughed reading this review. The founder of Money Looper, actually think people are stupid. Making up stupid stories about eating from the garbage and losing a janitor job and being neck deep in debt, was just plainly ridiculous. I wouldn’t advice anybody to make a commitment to this obvious scam. Some of the rags to riches stories that they use in these types of sales videos are truly inventive. It’s just too bad that they don’t put as much effort into the system as they do coming up with ridiculous sales videos! There are so many scams out there conning desperate people out of money they don’t have. Seniors are being targeted more than ever. It’s heartbreaking. I have been caught so many times. I finally got smart. I look for these ahhha things. If they say it’s free, then ask for money after a video BIG RED FLAG. If they tell you it’s a one-time payment then keep asking for more money…WATCH OUT. Another red flag you mentioned in your article not saying specifically what they’re selling. Just beating around the bush how great the program is and the amount of money you’ll make. It took me a while but I finally learned what to look for. Great article. You’ve got it down pat now–keep following those instincts! Is Affiliate Marketing A Business? Yes, And Very Profitable!